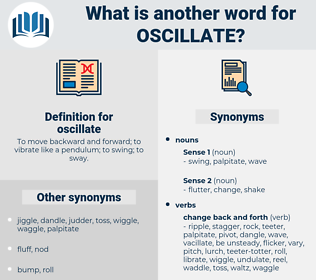 What is another word for oscillate? 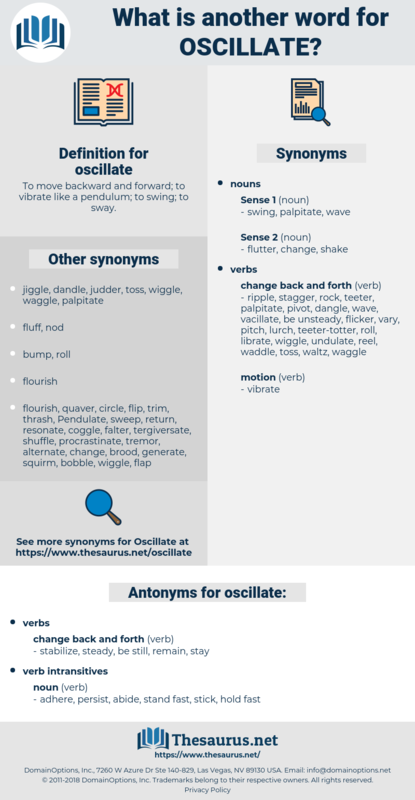 To move backward and forward; to vibrate like a pendulum; to swing; to sway. stabilize, steady, be still, remain, stay. adhere, persist, abide, stand fast, stick, hold fast. Her mind seemed to oscillate between the abstraction of his dishonor and a more intimate and primitive pain, - the sense of personal slight. It is true, that, like the pendulum, it tended to seek the lowest point; but also, like the pendulum, it tended to oscillate in a manner destructive of all stability.